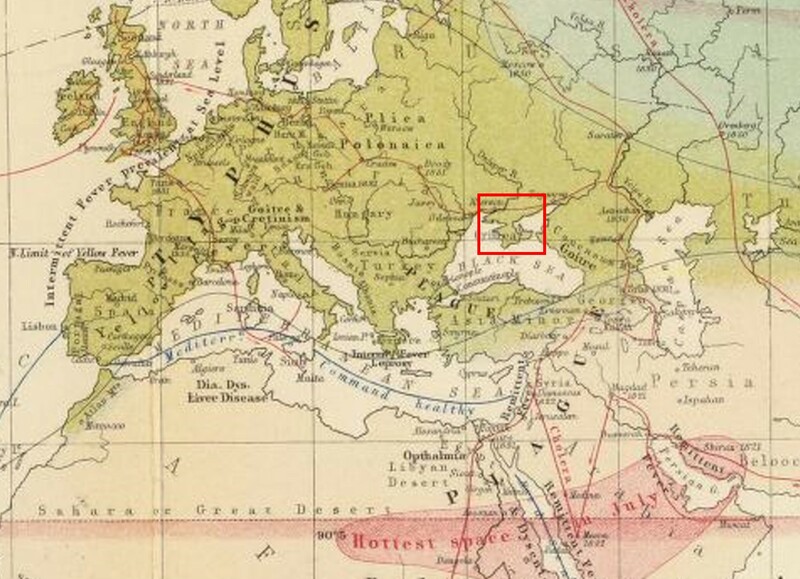 There is a unique aspect of medical geography that related to military history. A number of historians speculate that the first medical geographers were the military cartographers who produced maps of the battlefronts. One these maps they would have included strategic information related to places where the temporary camps could be raised and important topographic features situated in strategic locations. The French military is often associated with this part of the medical geography history, although I have yet to find much original documentation on this particular strategic practice (still looking). In the meanwhile, there are a number of very important ways in which looking at military history as it relates to the history of medical geography does have some important lessons to be shared. One of the best lessons is that of the establishment of the Red Cross by Florence Nightingale by 1860. The first page to be posted here will deal with this special topic. Another very important topic in medical geography history worthy of review is the history of health and disease in relation to the Crimean War on the Black Sea from 1854 to 1856. This war influenced several important medical geographer, either due to their activities in this war front or as a part of the post-war evaluation that ensued due to the tragic numbers of deaths that occured here due to poor sanitation practices. A special page on this aspect of the war is therefore to be presented as well. I will begin this coverage by providing some time frame increments for evaluating this topic. It ends up that anything and everything about medicine has to do with military history as well. We are left with the ‘which came first?’ question here. Does military needs and accomplishments precede the needs for medicine and the development that occurs in medicine whenever wars take place? Or does the profession of medicine already exist prior to any war, and benefits very much each time a war happens because it is so very important and successful due to wars? The notion of quarantine for protection against disease for example is a practice that we see put onto maps in the 1600s, as a parallel to protecting us from the enemy–that other culture–be it people who think differently from us, bacteria and other vermin that live differently from us, or both, people who because they live differently, in a different place than us, risk contaminating us with their diseases, their ways of living, their choice of being in poverty most of the time, their desires to rely upon certain occupations, forms of recreation, activities between one another that our culture or society will not allow. 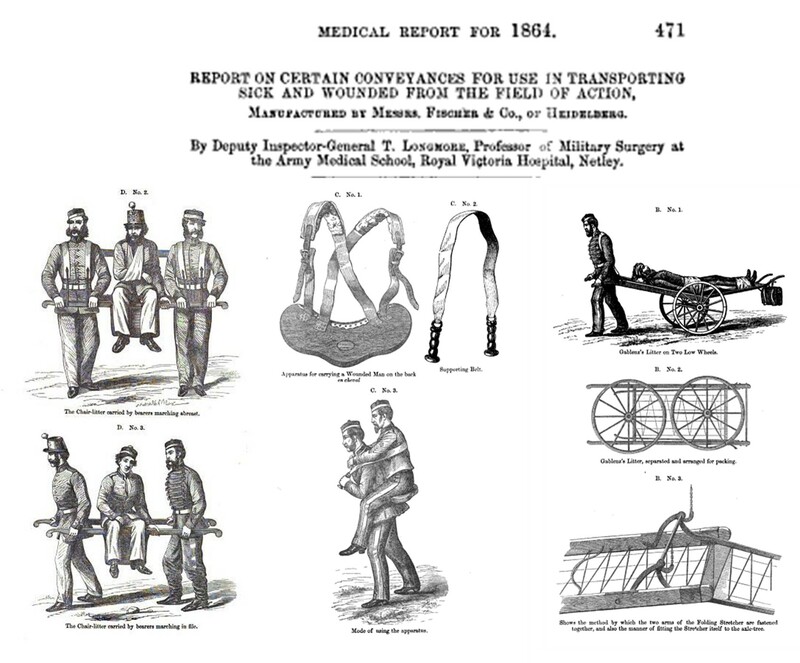 Injury and accidents are another set of events linked to war that provide medicine with bursts of new opportunities. Each type a new method for killing is developed, there are new injuries and non-fatal results that come with that technological achievement. The invention of the catapult for example and the creation of early chemical warfare in the forms of sludge of human waste, large cast iron buckets filled with hot melted tar, are examples of what in the time frame of things appear to be primitive weaponry, but still effective at preventing the enemy from coming on in. Like any geography should, there is a sequence of the madness of war that can be related to medicine as well. If we begin by looking and medicine and war as a review of war as an occupation, we get a better idea on the timelines to consider. Then, if we add a human behavior related spatial component to this development of a timeline, the outcome is a temporal way of looking at war and medicine that is at least good to start with. The amount of space engaged in when it comes to war is important because space defines the amount of variation that will exist in the environment of war. If a war takes place in just a small area, there in just one set of areal or spatial concerns to deal with. If we put this in hippocratic terms–the loci of medicine is easy to define, simple to base you decisions upon. Once war spreads into multiple loci, the related air and terrain change, and so too do the medical problems that can ensue due to war. A war that takes place in mostly the southeast Asian tropics is a war with many environmental diseases to be contended with since the soldiers need to face the “Torrid zone” so to speak, along with the human “enemy” and the new foreign diseases that enemy brings or releases to us. In a physical war between two halves of the world, we have different levels of technology going face to face with each other, by way of human drones, but also biological and ecological factors fighting against each other as well, merely as stand-bys often, like the tick and mosquito born fevers that will no doubt disable a significant part of the regimen in some places, or the face to face battles soldiers might have with the monsoons or the Santa Ana winds. Medicine and diseases aren’t easy topics to cover in relation to war, due to their complexity. So what attempts of coverage being made here are pertain mostly to war and place, war and geography, war and maps, war and the environment, war and ecology, war and technology, war and medicine. The Crimean War of 1854-5 marks a major turning point in war technology, practice techniques, preventive techniques, and medicine. 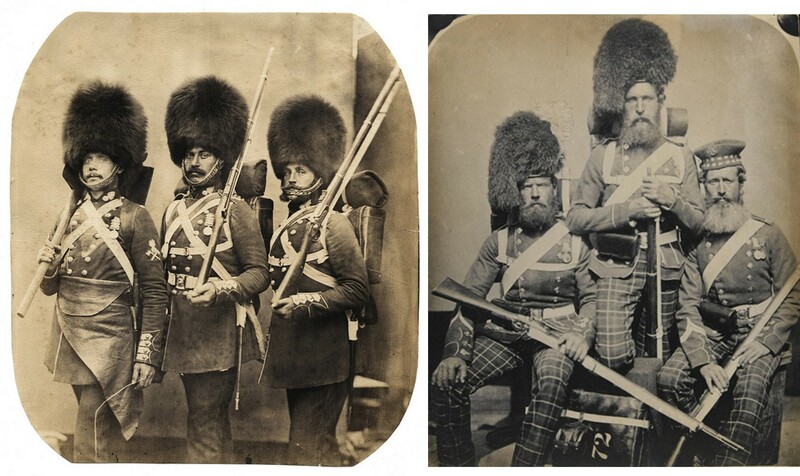 Prior to the Crimean war, the design of militia and the actions taken in the field and in the encampment setting when it came to health seemed to undergo minimal changes between the late 17th century and 1850. Of course there were important changes, such as the conversion of medicines from basic herbal form to mineral form between 1680s and 1720 during the Dutch Wars, and the Revolutionary War years in the colonies, for better storage, reduction in space requirements, and maintenance of supplies with a greater shelflife, but the overall picture of medicine at war consisted of the same basic elements: dealing with typical life-related illnesses and injuries, dealing with infectious diseases, dealing with the need for surgery due to battle-related injuries and related losses in body parts and functionality. 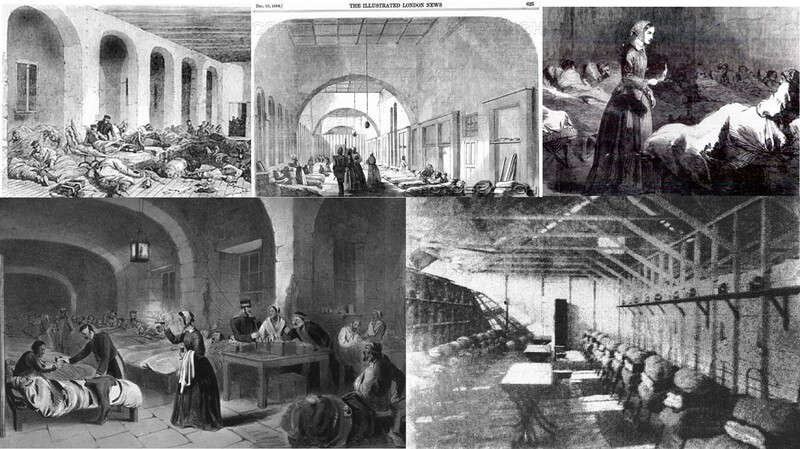 The 1854-5 Crimean War had large buildings useful as hospitals already established relatively close to the battlefields and encampments. The battlefield was far enough away to have a limited impact on these medical service locations. Prior to the Crimean War, medical philosophy about disease was transitioning from primarily environmentally-focused and pertaining to miasma and such, to people-focused and focused on hygiene and sanitation concerns. Women finally began to play an important role in the military setting, not just as wives but also as nurses, replacing the male nurses and comforters thereby enabling them to serve as surgeon’s assistants, apothecarians, field assistants, and additional sources for manpower for meeting the ambulatory needs. We can use the medical geography maps for the time to help us understand some of the thought that preceded the decision to go into battle and remove large numbers of people to a new place, to serve as soldiers. Alexander Keith Johnston’s map was designed specifically for use by the Royal Military. This we can tell due to his emphasis on the ability of the military to move through regions and remain healthy. 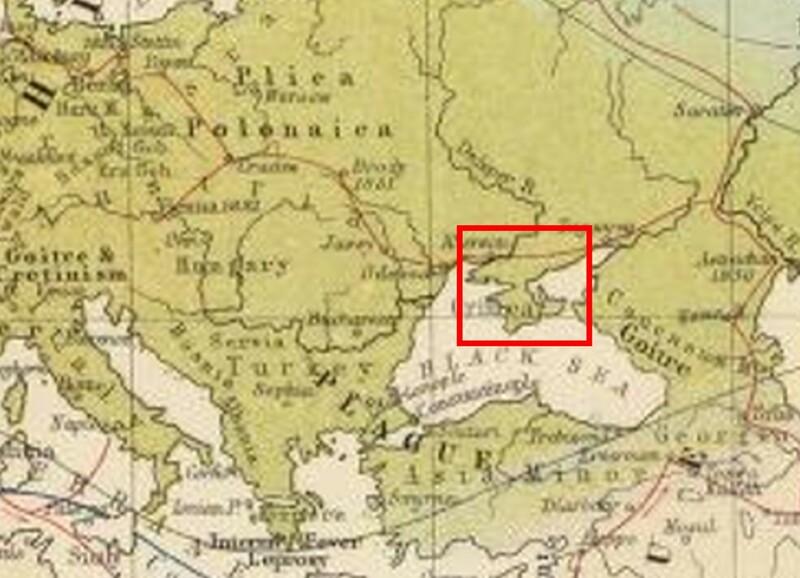 Several routes depicted on his map illustrate this. Aitken’s map, which adds a little more detail to Johnston’s map about areal or regional disease patterns, provides insights into the possible medical problems at stake regarding the establishment of a militia in certain regions. Soldiers removing to a new area they, in theory, were not well adapted to biologically, could have a tremendous impact on their value and functionality as soldiers. Ibid. Note lesser focus on endemic diseases. Whereas seventy-five years earlier, when the French made use of maps to depict health and unhealthy places to be, mostly for fever and diarrhea related illnesses, these maps were developed to serve a broader purpose. 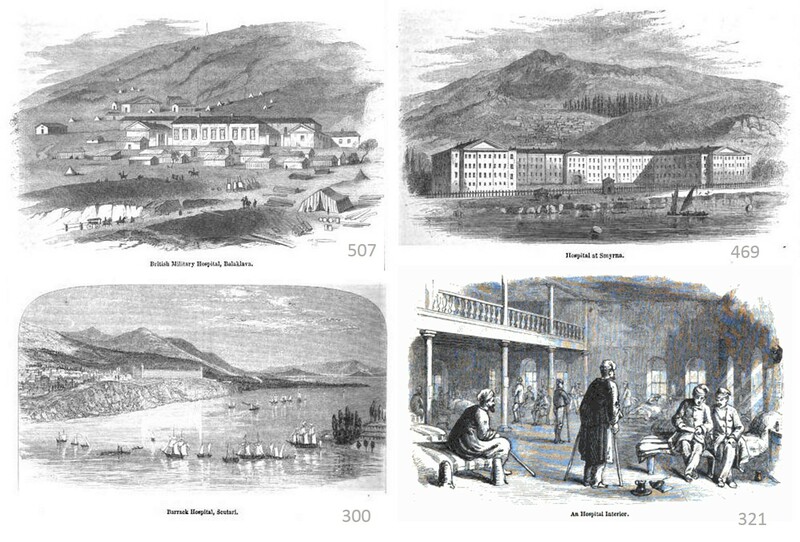 The ability to reside in an area and work in that area as a soldier were the added roles these maps played by the mid-19th century, and with time, they also came to serve as important tools for determining where diseases of certain types tend to prevail, and how to prevent these and other new diseases from setting in. We see the value of these lessons with the practice of medicine during the next major war, the Civil War of the United States. The following are important examples of these impacts war had on medicine, public health, population control, mapping, and statistical analysis. The classic example in medical history education focuses on Florence Nightingale, who initiated the practice of nursing by women. This added a certain touch of domestication to the hospital and encampment settings by adding insights into the values of sanitation practices and monitoring health and disease statistics. The idea of carrying soldiers injured off the battlefield and over to the hospital began as a practice of common courtesy following a small skirmish. As the size of batallions increase, the amount of available services increase, and so too did the technology and techniques attached to these provisions. Open space versus crowding was a major issue in battles. In a forested setting, tight quarters could become a problem. In an open fields setting, too much space made it easy for too much exposure to the environment to ensue. Wind, precipitation, solar heating and rays, humidity, and ocean spray were all major stresses upon the camp and its people. Tactical clothing had to meet the needs of the soldier in terms of utility, personal and military belongings, mobility when put to use, and adaptability to the local climate and terrain. Hygiene had to be promoted and personal biological needs had to be met with these materials and their designs.